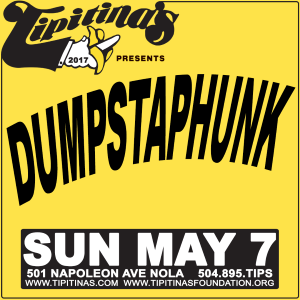 NOLA BISS JAZZFEST 2017 : BBR PRESENTS / CAFE ISTANBUL / NOLA FUNK / METERS / DUMPSTAPHUNK / MOTET / CA HONEYDROPS / NTH POWER / BAYOU RENDEZVOUS / CONGRATS TO E.MACQUEEN! BISS List covers great live music - personally recommended by our independent crew of local music fans in the San Francisco Bay Area. Visit our website (www.bisslist.com) and join our weekly email list (send an email to biss@bisslist.com) to find out what's happening around town, and to win free tickets to shows! Get out and support the live music scene. 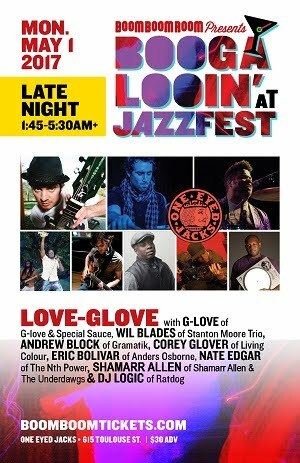 Happy NOLA Jazz Fest BISS Listers! 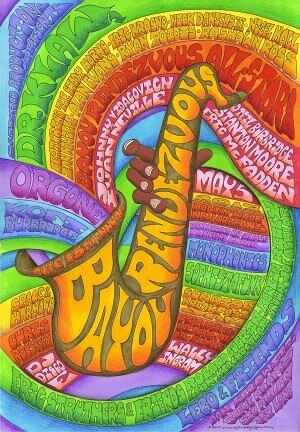 Yes kids, that's right, it's that time of year when 425.000+ diehard music fans descend upon NOLA for Jazz Fesy. The 48th edition of what is formally known as the New Orleans Jazz and Heritage Festival presented by Shell will be held April 28-30 and May 4-7. This year's line-up at the Fairgrounds bring us the likes of Stevie Wonder, Tom Petty & the Heartbreakers, Maroon 5, Dave Matthews & Tim Reynolds, Kings of Leon, Usher & the Roots, Harry Connick Jr., Meghan Trainor, Lorde, Snoop Dogg, Alabama Shakes, Pitbull, Widespread Panic, the Trey Anastasio Band, Earth Wind & Fire, Frankie Beverly & Maze, Wilco, Darius Rucker, Patti LaBelle and George Benson. As a musical sister city to New Orleans, San Francisco always represents hard in NOLA not just at the Fairgrounds but also at the night shows. Which is exactly why I & team take our time to build the NOLA BISS Calendar with great shows, ticket giveaways, & street team opportunities! Thank you Sarah, Cass & Arya & all of you who submitted suggestions! Of course, this coulda shoulda woulda been out to you all days ago but just when we think we got them all, there's one more! But when we hit 196 shows and 58 ticket giveaways we had to just close the list! 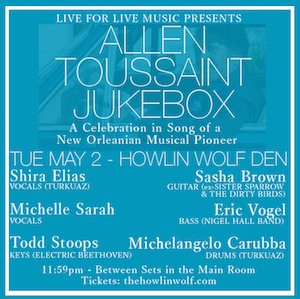 How do you **WIN TICKETS off this NOLA Special Edition of BISS List? Spread the word!! Share the event, the poster, the ticket link for any show you want that says **WIN TICKETS**. 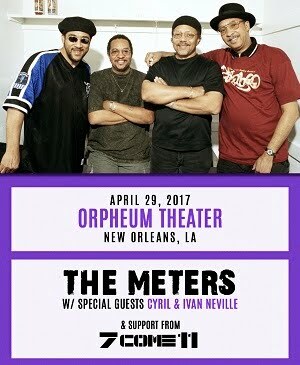 Then email biss@bisslist.com with the subject that starts with "NOLA WIN TICKETS", then the name and date of the show. 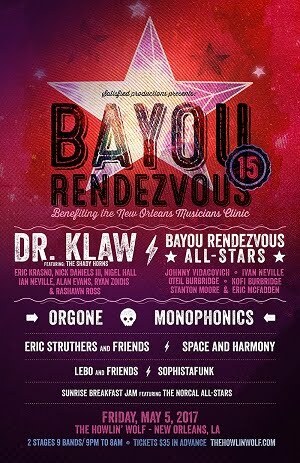 If you wanna increase your chance, share more NOLA WIN TICKETS shows from BISS. The more you share the better your chances for being picked as winner of a pair of tickets! How can you earn tickets thru street team? Post the BISS WIN TICKETS shows online! 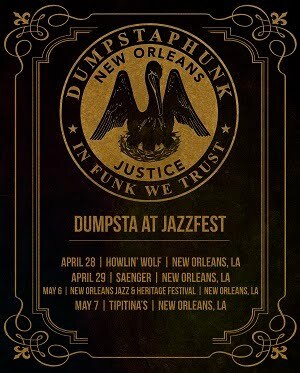 AND Pickup handbills from us in NOLA and distribute them while you are out and and about! Interested? Send an email to biss@bisslist.com with NOLA Street Team in the subject! I am personally headed down there on Saturday 4/29. Why would I wait until Saturday you ask? It's because I had this idea that if I waited until Saturday, I would arrive fresh and ready for the Eric McFadden & Queen delphine wedding extravaganza or as they will forever be referred to, once they are joined in holy matrimony, as E.MACQUEEN. While they couldn't invite all of you to the wedding, they have planned a couple of public choice events to start and end the celebration in NOLA. Late night on 4/30, It's their Last Day of Freedom...the bachelorette & bachelor BasH feat an all-staR cast including the bride and groom, Eric McFadden & Queen delphine (obviously) plus Doug Wimbish, Angelo Moore, Luther Dickenson, Papa Mali, Norwood Fisher, Wally Ingram, Brady Blade, Thomas Pridgen, Roosevelt Collier, Ronkat, Brian J, Cody Dickenson, Margie Perez, Corey Henry, Matt Hubbard, Daru Jones, Joey Peebles, CR Gruver & more! THIS IS A FREE SHOW AT 30/90 on 4/30 starting at Midnight! 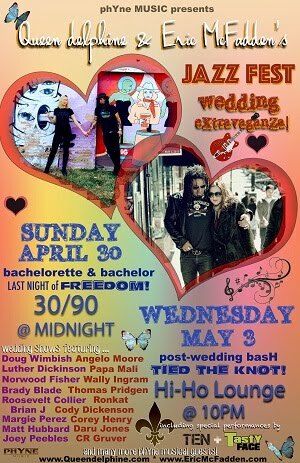 Then on 5/3, we end the four day wedding event with a show at Hi-Ho Lounge for Eric McFadden & Queen delphine's Post Wedding Bash! E.MACQUEEN Tied the Knot!! featuring T.E.N (Thomas Pridgen, Eric McFadden, Norwood Fisher) and Tasty Face (Angelo Moore, Queen delphine) PLUS special guests Luther Dicknson, Papa Mali, Brian J, Doug Wimbish Roosevelt Collier, Wally Ingram, Brady Blade, Ronkat and many more! 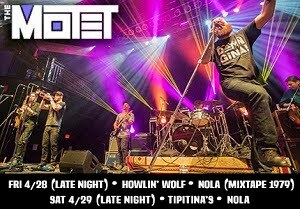 Now let's get on with the NOLA BISS 2017 featured shows, followed by the (somewhat) complete calendar of BISS selected NOLA (mostly night shows)! PS. Happy Birthday to Whitney, Papa, & JenCat!! BISS 04.20.17 : HAPPY 420! /MONOPHONICS & ORGONE / MOONALICE & DDS / TOOTS & THE MAYTALS / KATDELIC / HAPPY EARTH DAY! I sure hope I can join all of you at the events and live music shows listed this week but there is a possibility I might just be right here at BISS HQ finishing up NOLA BISS, an annual special edition which should be in your mailbox by the end of this weekend. I will also be prepping next week's BISS List, which will be a two-to-three weeker to cover all the local Bay Area BISS shows while yours truly is away in NOLA. See, even thousands of miles away, BISS has your Bay Area music back! Tonight, 4/20. I am super excited to see two of my long time favorite bands, Monophonics and Orgone at The UC Theatre Taube Family Music Hall (**WIN TICKETS**). 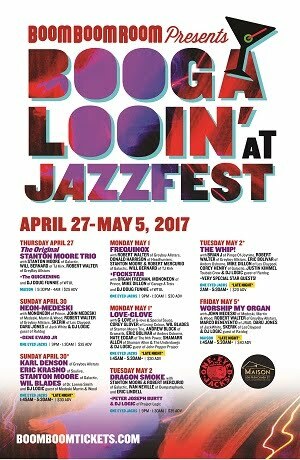 Though, if I were to stay here in the city, I would be hitting up Moonalice plus Doobie Decibel System at Slim's (**WIN TICKETS**). 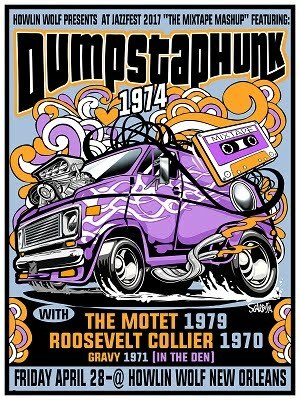 As all of you Moonalice and DDS fans know, there will be beautiful posters given out to every guest in attendance! 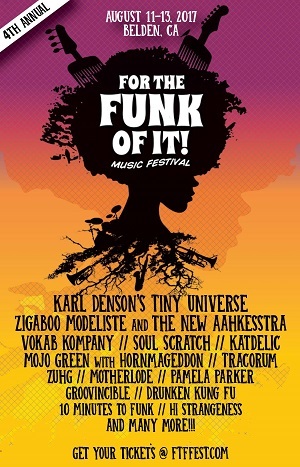 Also in the city, Different Fur and Platurn Productions Present Funk & Soul Night at The Chapel with Prince Paul co-headlining with The Dip (**WIN TICKETS**) and MIKEYPALOOZA II featuring Boomshanka, The Swamees, and Hack Salad are at Brick & Mortar (**WIN TICKETS**). 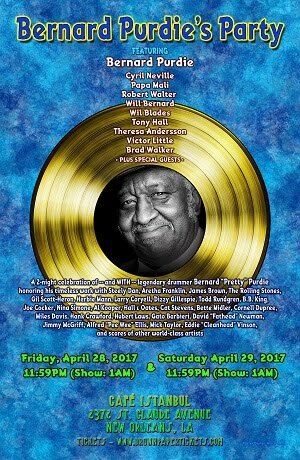 In the North Bay, my friends, Soul Ska are having a 420 Celebration at Sweetwater Music Hall (**WIN TICKETS**). Of course, that's not all! There are more shows for 4/20 in the Calendar Listings section below. Friday, is one of those nights where it will be tough to decide which way to go but I will be continuing my Irie celebration with Toots & The Maytals at The Fillmore. Afterward, I'll be heading across the street for one of my all-time and long time favorites, Ronkat's KATDELIC with It Sometimes Snows In April Prince Tribute (**WIN TICKETS**). Other possible Friday night shows that I would sneak off to are either New Order at The Greek in Berkeley or Boombox at 19 Broadway in Fairfax (**WIN TICKETS**). Saturday, is Earth Day! There are all kinds of opportunities to demonstrate your support for the environment from beach & community cleanup to eco-awareness and educational events. Saturday night, quite a few shows stand out but the two that I am likely to attend are outside of the City. Each one has two great bands on the bill to make either one a full night of excellent music. In Marin, The Main Squeeze plus Hibbity Dibbity are at Sweetwater Music Hall (**WIN TICKETS**). In Berkeley, Balkan Beat Box plus Afrolicious are at The UC Theatre Taube Family Music Hall (**WIN TICKETS**). Along comes Sunday and it feels like it might be a good night to return to Return Of The Cypher for a FREE HIP HOP PARTY at the Boom Boom Room. Also tempting, out in San Rafael, PHIL LESH will be with THE CAMP TERRAPIN BAND, FT. STU ALLEN, SCOTT GUBERMAN & ALEX KOFORD for a free outdoor afternoon of music and storytelling for kids and their families at Terrapin Crossroads. Now, for something totally different on Sunday night, SiriusXM Presents: Anthrax & Killswitch Engage - The Killthrax Tour at The Fillmore. Touring in support of their 11th full-length album, For All Kings (which debuted as #1 on Billboards' Hard Rock Albums chart), and their 35th anniversary as a band, Anthrax will bring a high-decibel onslaught thrash alongside their metalcore brethren, Killswitch Engage. Bring your earplugs, kids. These shows are outrageously loud! On Tuesday, The Zombies will be at The UC Theatre Taube Family Music Hall for the Odessey and Oracle 50th Anniversary (**WIN TICKETS**). Here in the city, it's FAT TUESDAYS with Atta Kid, co-led by Max Cowan and Daniel Casares at Madrone Art Bar (**WIN TICKETS**). REVEREND HORTON HEAT (SOLO) plus DALE WATSON for a FULLY SEATED SHOW. "STORIES & SONGS" W/ PHIL LESH & THE CAMP TERRAPIN BAND, FT. STU ALLEN, SCOTT GUBERMAN & ALEX KOFORD - a free outdoor afternoon of music and storytelling for kids and their families. Happy Easter! How's your keister?! Are you ready to move it and shake it this weekend? Friday night, it's hard to choose, when you have Anders Osborne at The Fillmore (**WIN TICKETS**) and Marco Benevento at The Independent (**WIN TICKETS**). I mean, after reading the latest BISS List interview with Marco Benevento by staff writer, Arya Jha, it could make that decision easier. Then again, knowing my buddy Eric McFadden is playing with Anders, I'm torn again! Maybe I will just do both! If I weren't so stoked on those two options in the city on Friday, I would be heading to the East Bay for Toots and the Maytals at The UC Theatre (**WIN TICKETS**). And for your late night pleasure on Friday night, nine-piece band Idea Team will be grooving at The Boom Boom Room. It's gonna be rockin (**WIN TICKETS**). Saturday Night is dripping with musical opportunities to choose from on the BISS calendar for Bay Area shows. However, there was really no contest when I saw the stellar line up for The 40th Anniversary of The Last Waltz at the Masonic. In 1976, The Band played their final concert here in San Francisco at Winterland Ballroom. In honor of that concert an epic lineup including Dr. John, Warren Haynes, John Medeski, Cyril Neville, Dave Malone, Don Was, Danny Louis, Jamey Johnson &s Terence Higgins will perform. 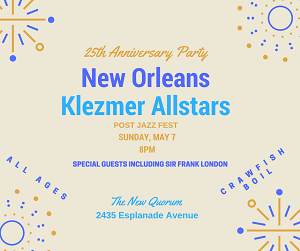 Mark Mullins will be leading An All-Star Horn Section in tribute to The Original Horn Arrangements Of Allen Toussaint from this unforgettable show. Adding to the magic at least three original performers, Dr. John, Bob Margolin, & remaining member of The Band, Garth Hudson will be on stage this Sat Night. Late night on Saturday, we'll be finding ourselves again at the Boom Boom Room for Scott Pemberton Band plus El Metate (**WIN TICKETS**). Despite requiring rest on Sunday to begin next week's edition, I might sneak out and you could spot me at The Regency for Goldenvoice & DJ Dials present: DJ Shadow plus Sam Gellaitry (**WIN TICKETS**). Monday night, it's the first of two SOLD OUT nights of Radiohead at The Greek in Berkeley. If you have an extra ticket, lemme know! Ha! Of course there are SO many shows in The Bay on Thursday 4/20, but I won't go too far into it until next week's BISS List. For me personally, it's been awhile since I have seen my friends Orgone and Monophonics play in The Bay and especially on the same stage. So you will probably encounter me at The UC Theater that night (**WIN TICKETS**)! Though here in the city, Mikeypalooza II featuring Boomshanka at Brick & Mortar is quite a worthy choice for a good night of live music (**WIN TICKETS**). For a smokin' 420 preview, check out SF Sounds Guide to National Weed Day and/or check the BISS calendar listings below.